For the intermodal traffic Gé Simons focuses on the axle Western Europe (Benelux, Ruhr area, NW France) – Italy. An efficient organization is crucial for the effectiveness and success of intermodal traffic. For the Italian market we have chosen for Effepierre Logistics, a strong partner with a proven track record in the industry, safety and quality. 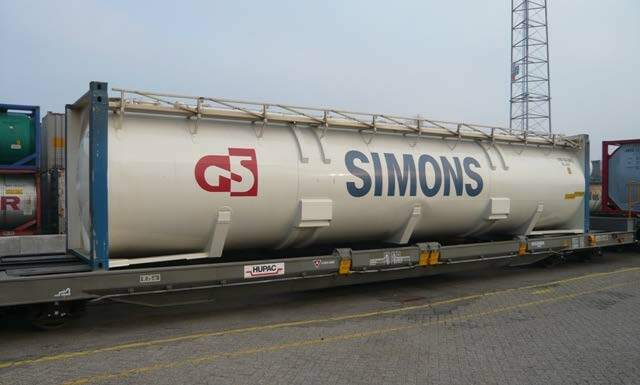 For the intermodal transport, Gé Simons uses 40′ ISO aluminium pressure containers (59 m3). Gé Simons promotes this type of transport in the context of sustainability and the reduce of CO2-emissions.